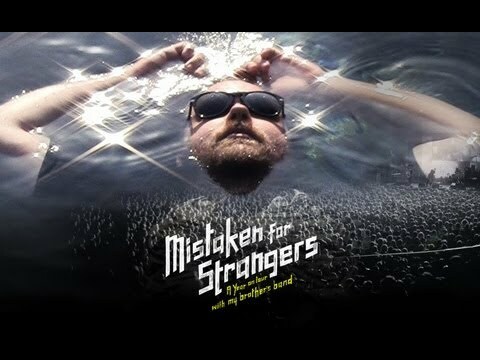 Music films are a highlight of the Sydney Film Festival this year and among them is the heartwarming, fascinating Mistaken for Strangers. 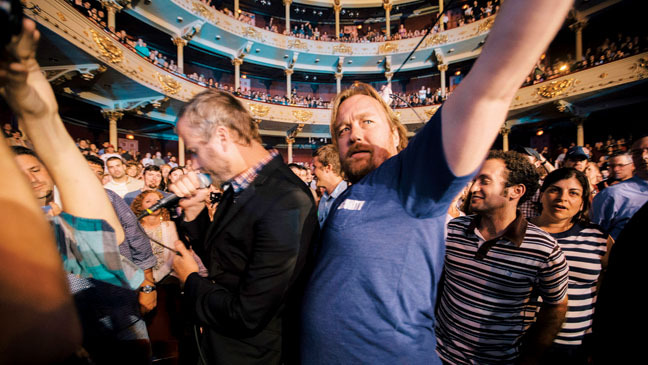 Officially, Mistaken For Strangers is a rock documentary about The National and the biggest world tour they had yet encountered. The National are a fascinating band because – as the title of the documentary suggests – their cred far outweighs their commercial success. However, early into the documentary we discover there is more to this film than meets the eye. If front man Matt Berninger remains more obscure than he ought to be (this is a band who can get an audience with Barack Obama, but ask your neighbor which National song is their favorite and see what sort of answer you get) then the only person in the world who disproportionately inflates his success, is his little brother Tom. Tom agrees to go on the road with the band overtly as a “roadie” and covertly as a documentary film maker, invited by his older brother who wants a chance to get closer to his younger brother. And this is the real point of this lovely documentary. As it turns out, Tom is a very talented film maker but lives in the shadow of his better looking, everything-I-touch-turns-to-gold older brother. Interestingly, as is made clear by the end, Matt has not had everything come super easy for him. 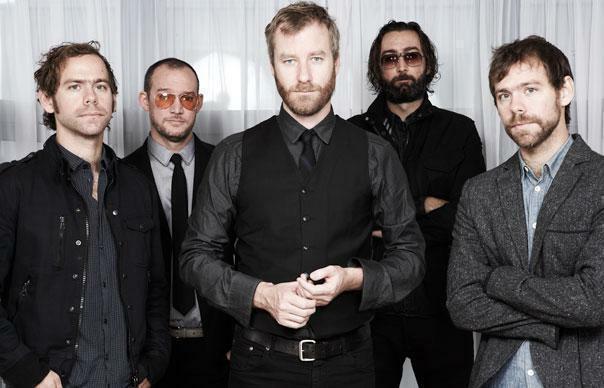 The National had to play to many empty rooms and stay faithful to their music. They didn’t achieve large success till High Violet, their fifth album, and even that took a while to get them anywhere near the success they deserve. Matt speaks frankly about moments of despair, crying in his room after concerts etc. But in Tom’s eyes, he’s always been a rock star, and this is something Tom feels so passionately he at the same times worships and envies his successful older brother starting and stopping his own creative projects believing himself to exist only in the giant shadow his older brother casts. All of this is wrapped up in a documentary that is hilarious at times but also gut-wrenchingly vulnerable. Tom’s attempts to build his rock documentary include hilarious moments where people stare blankly into the camera, all giving him time and opportunity because of his older brother, but not knowing how to respond. Tom asks ridiculous interview questions like “how famous are you?” to which knitted brows are the only possible response. Other insane questions include “where will The National be in 50 years” and when interviewing his mother “who is the most creative, me or Matt?” For the most part, the interview subjects try to be generous, even when Tom dissolves into a “why is Matt so cool” line of questioning, but the result is often hilarious as awkward moments are captured with great skill and raw honesty. Seeing the two brothers squabbling over spilled cereal on the floor of the hotel room, and Tom’s ridiculous lies when he tries to get out of deserved admonishing adds to the perplexing complexity of what does one do when one family member is very successful and the other lives in their shadow? 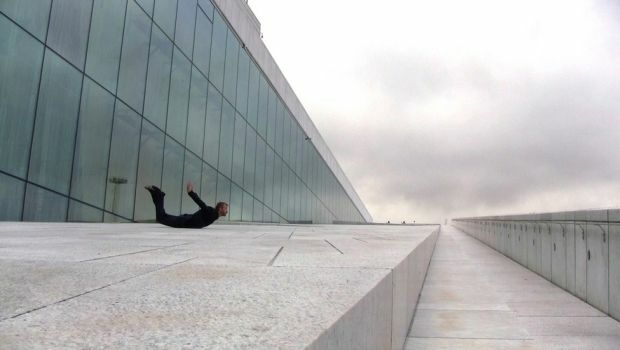 The first half of the film takes place on tour with The National and then, after Tom gets fired, Matt invites him to his house months later to complete the documentary. Tom really starts to shine when he is away from the tour, which never lived up to his expectations. He’s a metal fan, thinks The National is a bit “coffee-house” and expects that the tour is going to be more like the rumors of Rock Star life than a 9-5 job. Instead he finds he must produce receipts (and explanations) for every beer, he has to be on call constantly for tasks like wrapping chocolates and packing them in the tour bus, and he has to do his job rather than film. He is socially awkward and quite silly. The people around him take their job very seriously – not so much the band (who do) but more the promoters, and entourage who are scrutinizing everything. He is regularly in trouble, and one gets a sense from the film that we are spared the bulk of his indiscretions which must have been steep if they felt compelled to fire the lead singers brother. The second half of the film is mostly about the creative process as the brothers get into some complex discussions about how to finish the film. Matt, overwhelmingly patient for the most part, is frustrated by Tom, and says so. You get the sense that Matt must have done too many things for Tom when he was young – there is nine years between them after all. There are wonderful insights like Matt yelling at Tom “just fake your way to the top man” and Tom yelling “I cry all the time. I have never seen you cry”. It is not till the end of the film that Tom says the magic words “Just leave me alone and let me do it.” that you realize Tom is going to be OK. However, that magic moment does not leave us with any guarantees, and despite the film’s opening successfully at Tribeca (and now showing at Sydney) one can’t be sure of Tom’s future success as a film maker. One thing that is sure, these brothers are going to be acting this way until the day they day, and loving each other ferociously all the way through. For fans of The National, there is much in the documentary to love, and for those who don’t know the music, you will fall in love with it by the end. Mistaken For Strangers is playing at the Sydney Film Festival. Get Tickets here.